The document was adopted at the session of the Holy Synod of the Russian Orthodox Church on 14 July 2018 (Journal No 42). Moscow. July 24. 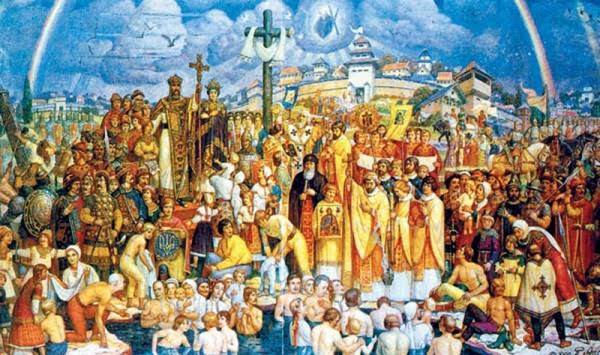 INTERFAX – This Saturday in Moscow and Moscow suburbs a wave of bell-ringing will take place, which will mark the celebrations on the occasion of the 1030th anniversary of the Baptism of Rus. “At 12:15 the bells will ring in all the churches in Moscow and the Moscow region, where it is possible, starting from the bell tower of Ivan the Great. The general sound of the bells will add joy to all of us on this anniversary day,” said Press Secretary of His Holiness, Patriarch Kirill, Priest Alexander Volkov, on Tuesday at a briefing in Moscow.